The Accident Research Unit Hannover mainly collects road accident data within a project funded by the German Federal Highway Research Institute (BASt) in ordert o deliver data for road safety research and developments. The Accident Research Unit is integrated in the Trauma Department of Medizinische Hochschule Hannover and cooperates with the department Automotive Engineering at Technische Universität Berlin. These collaborations facilitates a continuously information flow from recent research results towards the Accident Research Unit that are considered in the daily work. 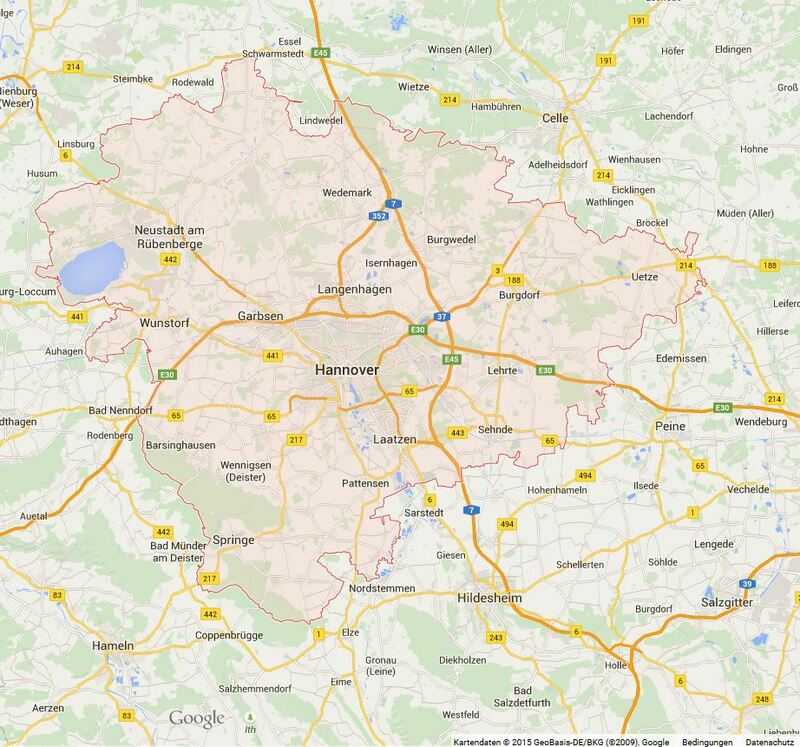 The region for data collection is defined by the region of Hannover (including the town and the surrounding municipals). In this 2,291 square metre large region there are 1.1 million people living. Approx. 10% of the region is urban area what is comparable to Germany. In addition the distribution of different road types (urban, rural, highway etc.) of the road net in the collection region is comparable to the German road map. This is important to facilitate a representative data collection for Germany. This shift system enables a statistical representative distribution of the collection time for the entire year. The data collection team consists of a coordinator, 2 technical team members and one medical team member. The task of the coordinator is to direct the technical and medical team members to the accidents to be collected following a statistical sampling method and to collect as much data as possible from the desk. There are 2 vehicles available for the investigation teams allowing the technical team to continue their work at the scene while the medical team member is able to follow the injured participants. Police and emergency service informs the data collection team of new accidents. driving license details, duration of the trip experience with the accident vehicle and the accident scene etc. Vehicles that cannot be investigated at the scene will be approached shortly after the accident in order not to lose the information. The medical team member approaches the accident scene with an additional car. He starts immediately with the documentation of the injuries and the treatment of the injured people. After following the injured to the hospital the documentation will be completed w.r.t. details of the injuries and the treatment. This enables to assess measures for avoiding specific injuries. Especially the medical team members are able to support first aid measures and even to support the rescue team if needed. The collected data are stored in an anonymous way in the GIDAS (German In-Depth Accident Study) data base. This data base is used as the main source for further investigations. Depending on the individual accident circumstances there are 500 up to 3000 individual information recorded in the data base. The Accident Research Unit Hannover delivers approx. 1,000 accidents with personal injury each year for that data base. The data collection process considers data quality as well as the personal rights (Data Protection and Medical Confidentiality) of the people involved in the collected accidents.